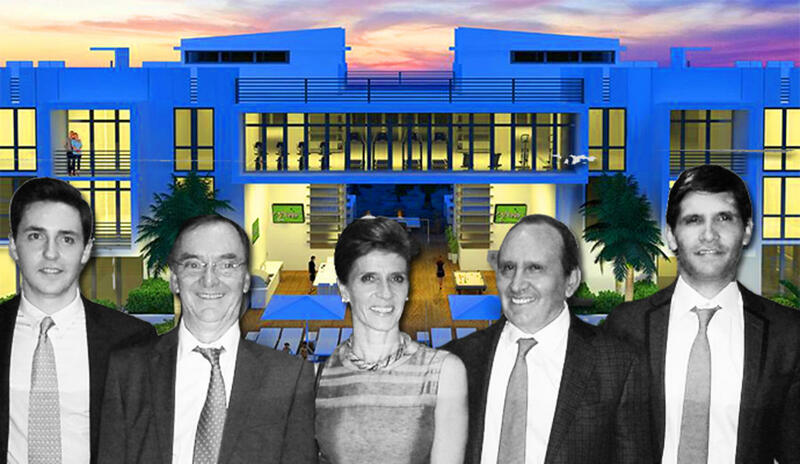 SOFA Partners just scored a $20.6 million construction loan for 111 First Delray, a boutique condo project in Delray Beach. Trez Forman Capital Group, a joint venture between Forman Capital and Vancouver-based Trez Capital Group, is the lender. Brett Forman, president and CEO of the bridge lender, arranged the financing. The 70-unit, five-story building will rise on a 1.12-acre plot of land at 111 Southeast First Avenue. The development team consists of two families, including Felipe and Manuel Vergara and Rafael and Daniel Rincon. Separately they have completed projects such as Residences at Broken Sound and North 40 Office Park in Boca Raton. Records show the developers paid $9 million for property in 2015. A year later, SOFA Partners launched sales with Nestler Poletto of Sotheby’s International Realty. Units at 111 First Delray range from one-bedrooms to three-bedrooms and from the $500,000s to about $1 million. It’s about 60 percent sold. Amenities will include a pool with cabanas, a recreation deck, a covered open-air lounge and a fitness center. The building will also feature ground-floor retail and gated parking on the first two floors. Construction is underway and it’s slated to open in April 2019, according to a spokesperson. The property is a block south of Atlantic Avenue, a popular corridor in Delray Beach where a number of retailers and restaurants have signed leases, like Urban Outfitters and Rocco’s Tacos.